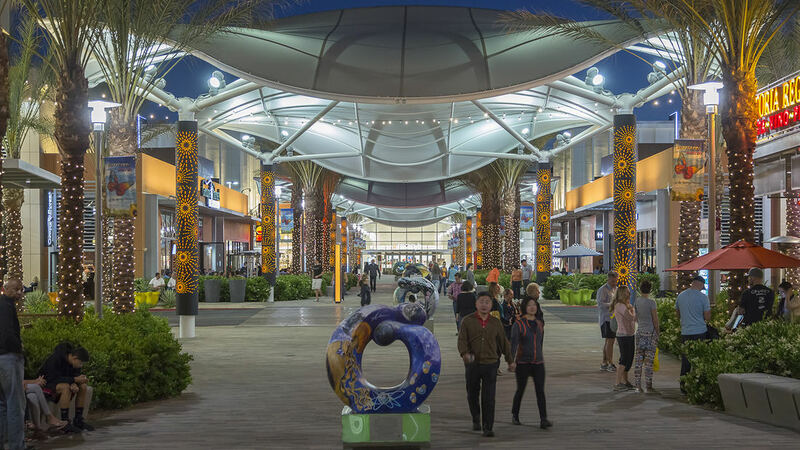 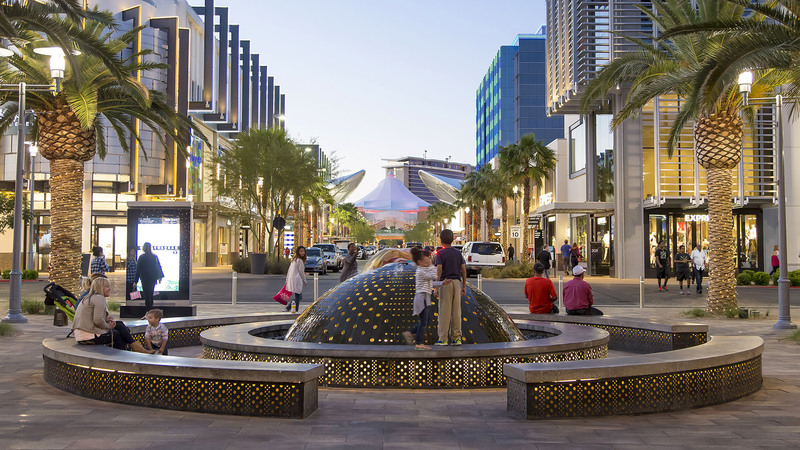 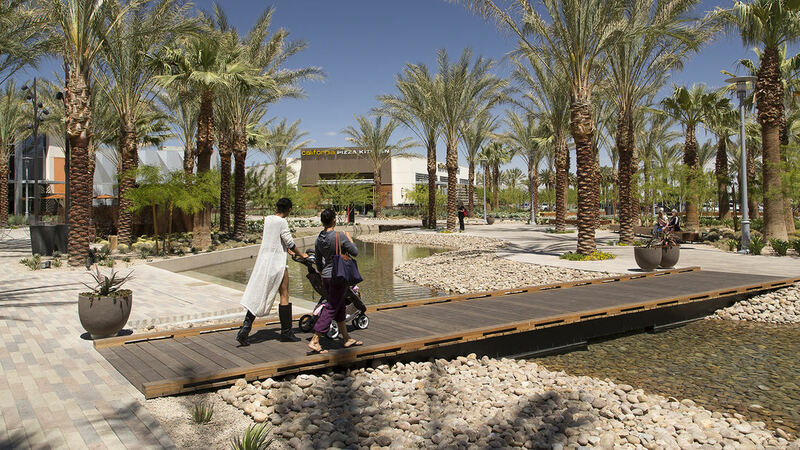 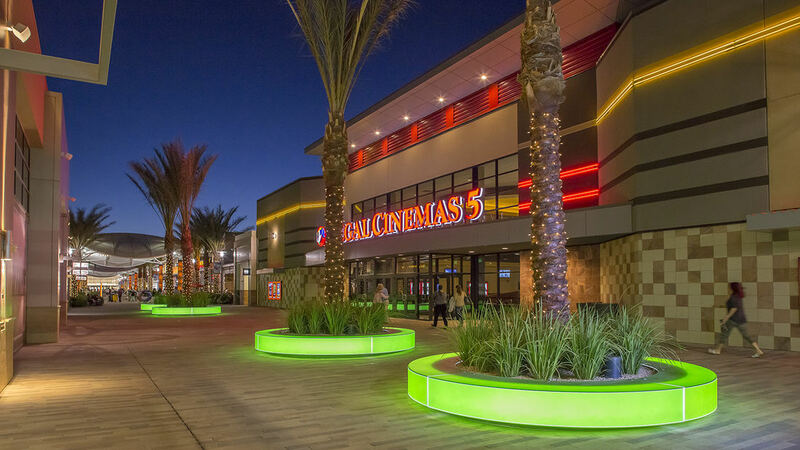 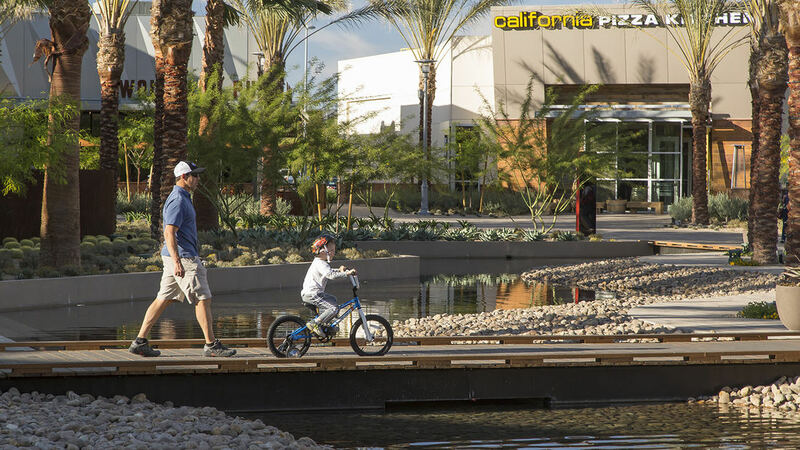 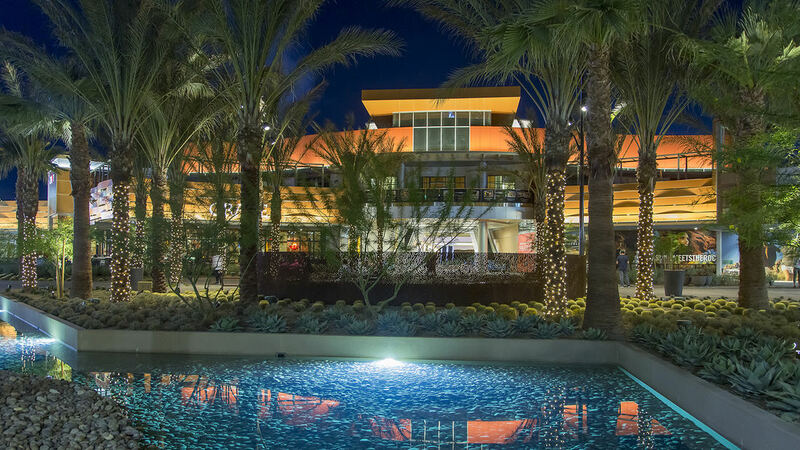 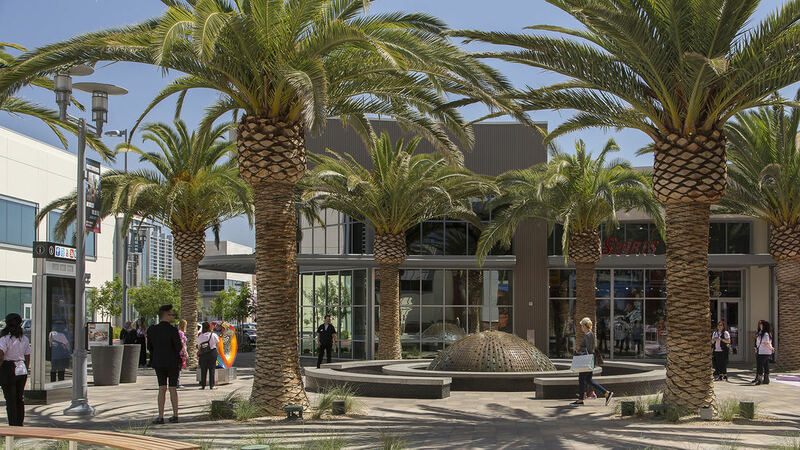 Downtown Summerlin is a 109-acre, high-end retail and entertainment lifestyle center forming the heart of a 22,500-acre master-planned community in the western suburbs of Las Vegas. 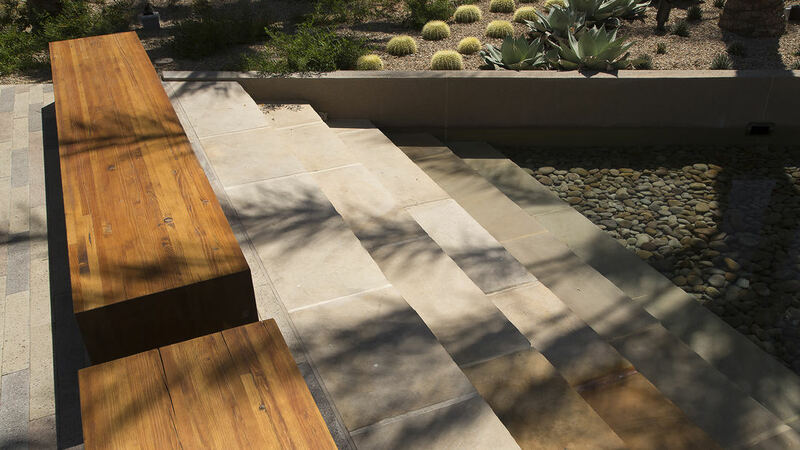 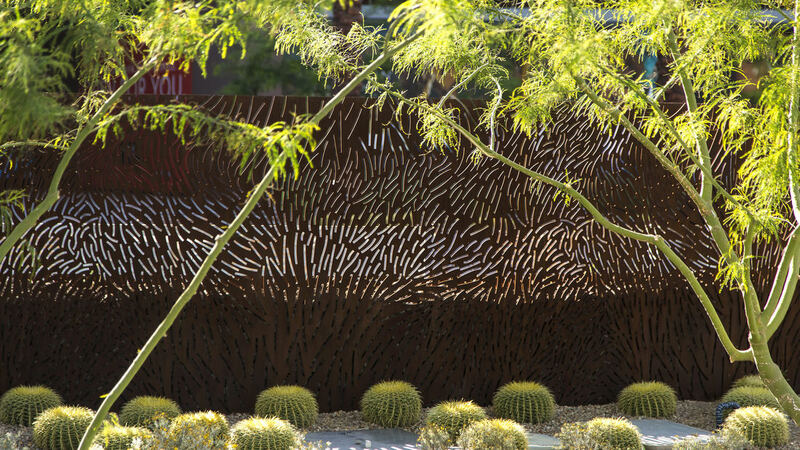 The landscape design emphasizes the need for comfort and shade while drawing upon the natural desert environment as a visual source for materials, colors, and textures. 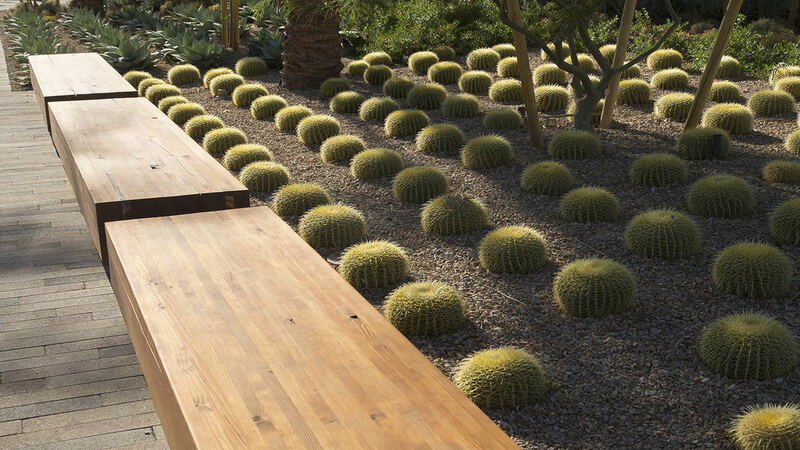 By distilling the surroundings into their simplest forms—desert floor, canyon wall, and sky—a contemporary abstract framework was created for the project’s horizontal, vertical, and overhead surfaces. 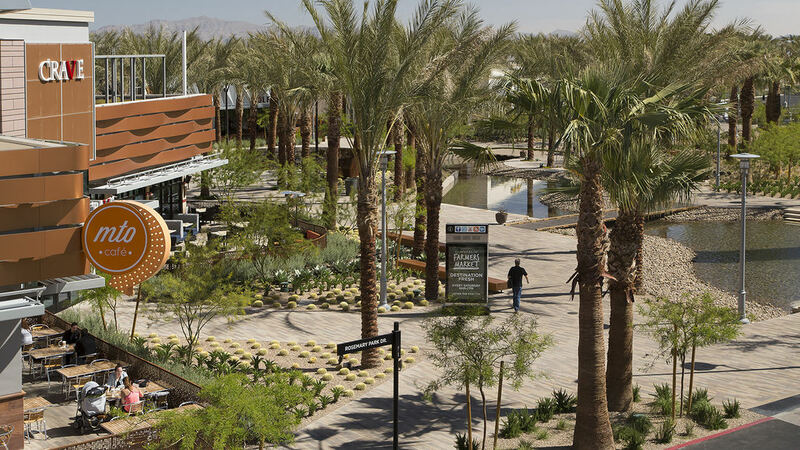 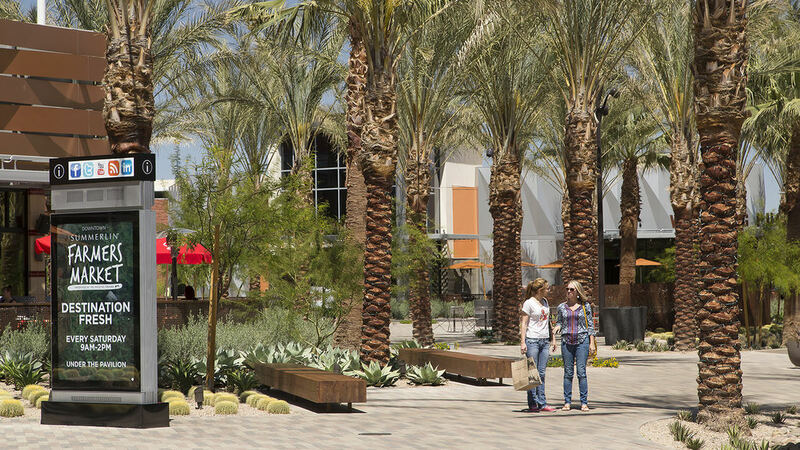 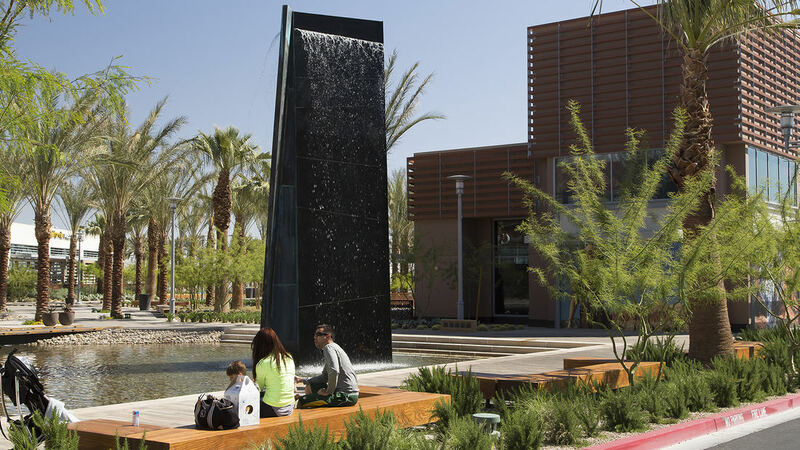 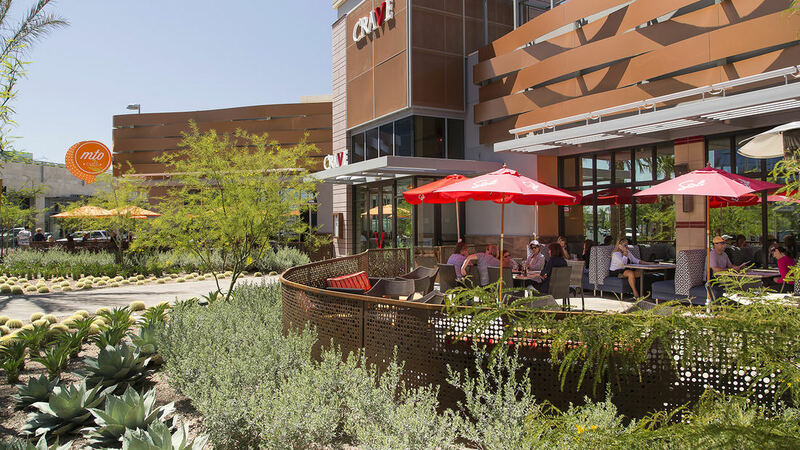 The landscape design strives to present a unique retail environment by creating spaces that reflect the natural environment, as well as the history and heritage of iconic Las Vegas, while remaining autonomous from both.